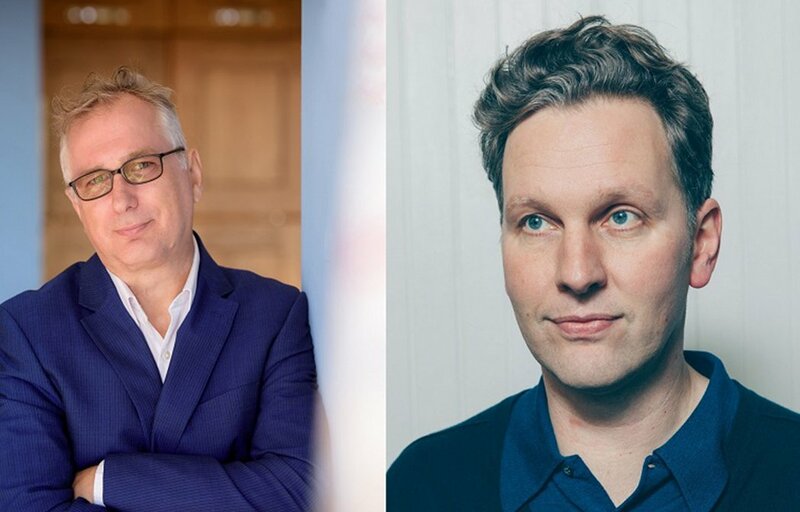 Henry Normal and David Shrigley have become the first Patrons of Phoenix Brighton, the largest provider of artists’ studio space in the South East. Phoenix will mark the occasion with a welcome event on Friday 21st September, running between 1 and 3pm. This event will coincide with the opening of a new exhibition curated by the Rocket Artists, a group of artists with and without learning disabilities. David Shrigley is a renowned international artist, known to a Brighton audience as the most recent Guest Director of Brighton Festival he said “ “I am particularly pleased to be supporting artists in Brighton and the surrounding areas via my involvement with Phoenix”. Normal and Shrigley’s involvement places Phoenix within the local cultural landscape, allowing them to build on its reputation as innovative provider of artists studio spaces. Phoenix runs a full calendar of contemporary art exhibitions and an inclusive education programme. Executive Director, Sarah Davies says “It is a pure privilege to work with such passionate and inspiring people and I know they both will help shape our vision”. More information can be found on Phoenix Brighton’s website. Previous articleDo you have too many possessions?